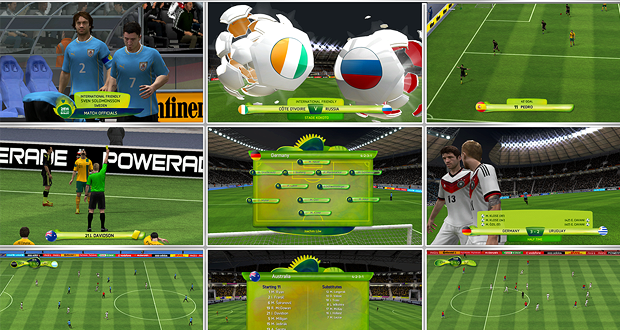 Evolution is back with a new set of overlays, this time for the FIFA World Cup 2014 tournament! The patch features the full popups set of the competition and two versions of the scoreboard! One version has the home/away color bars while the other version doesn’t. It’s up to you to decide which one you would like to install. The patch also includes world cup flag pebbles logos for all national teams in FIFA 14! how i Use it with Moddingway patch ?? every time i regenerate No thing happend ! change and the scoreboard and in other leagues?